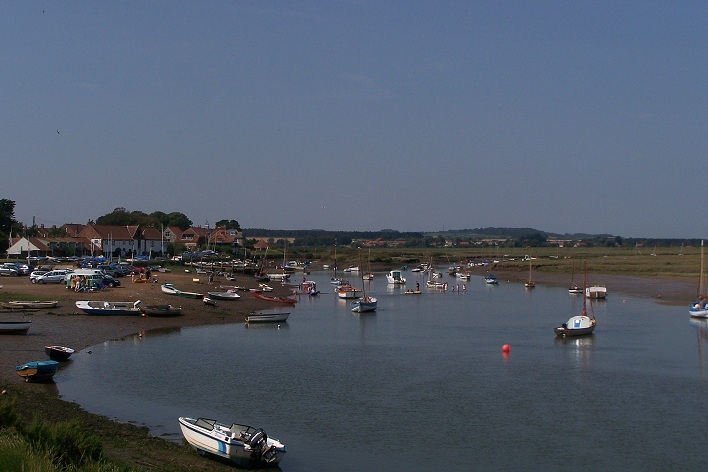 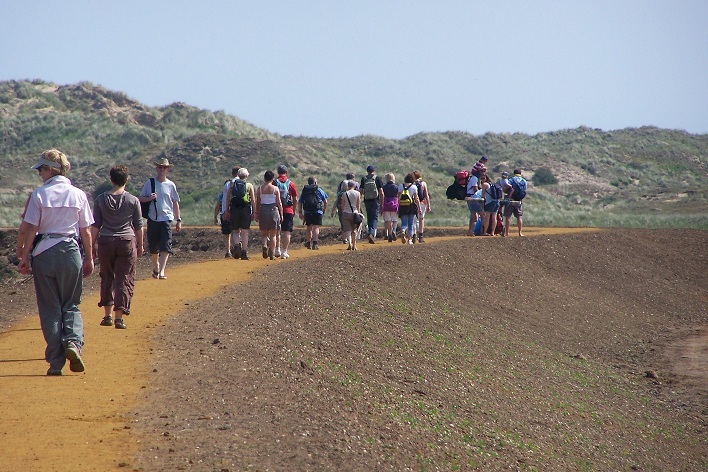 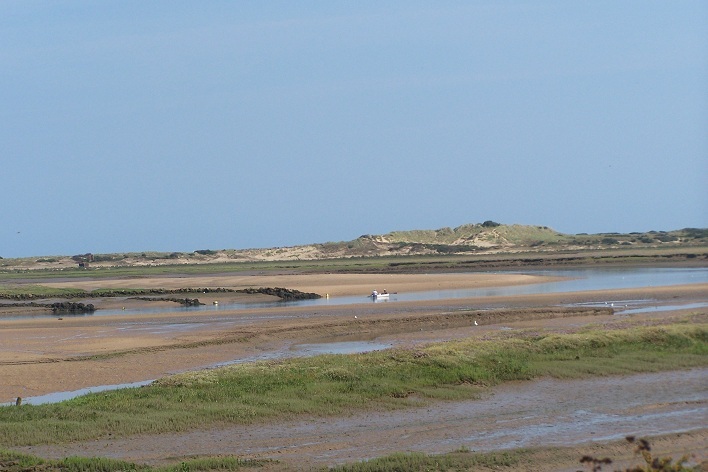 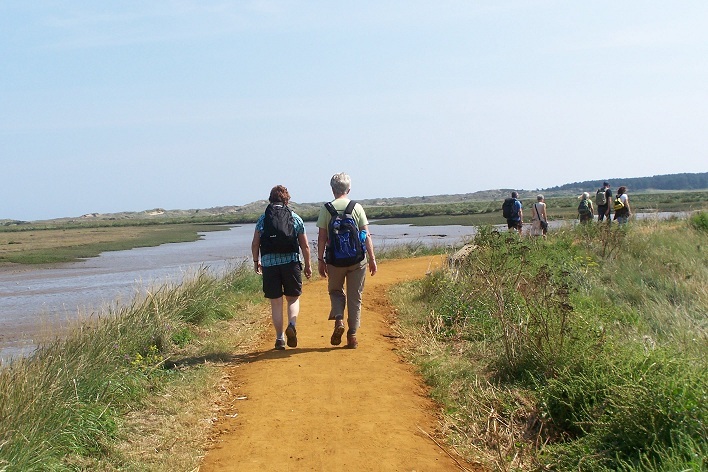 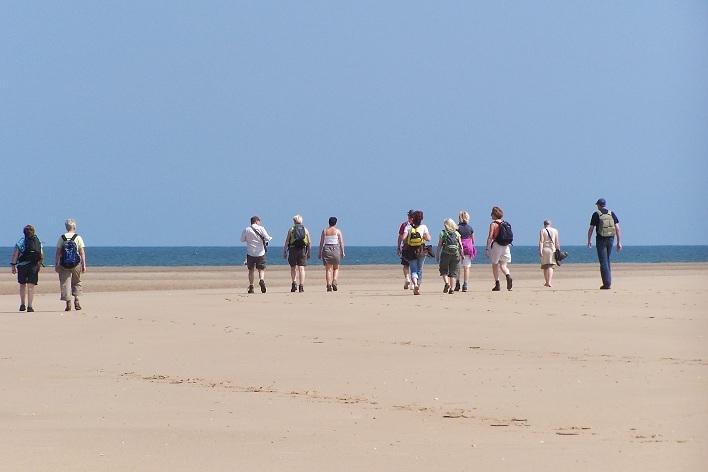 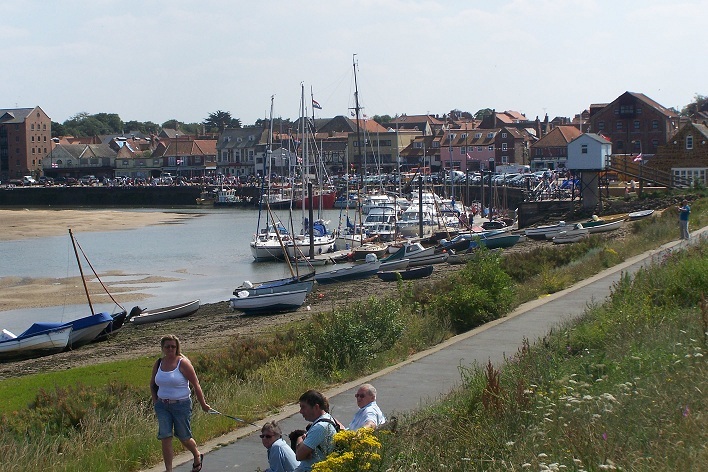 Meeting at Wells saw 14 ramblers catching our Norfolk Green bus laid on especially for us for the trip to Burnham Overy Staithe the start of the walk.At Burnham we were met by our 15th member Hilary who had used the coastal hopper from Hunstanton. 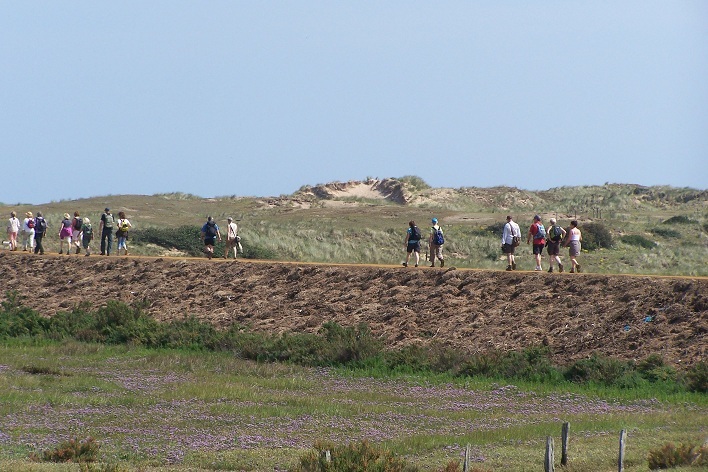 A reasonable pace was set beside Overy Creek heading towards the sand dunes and beach. 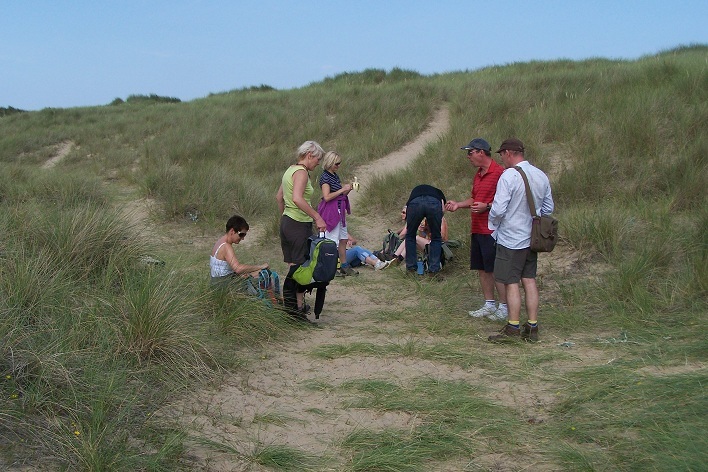 Our first planned water break on a very hot sunny day. 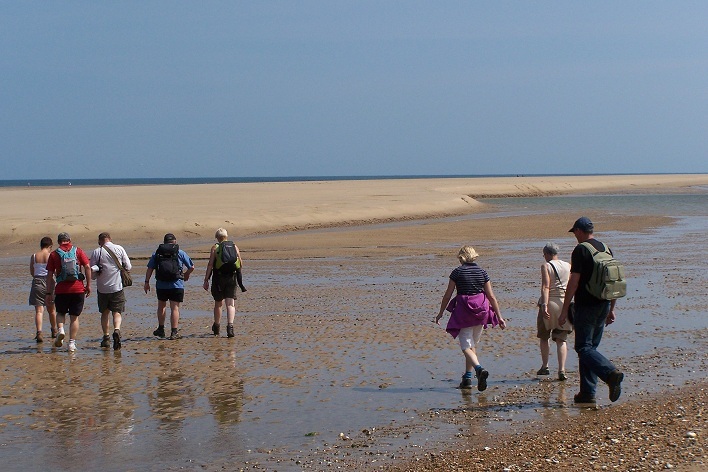 On arrival at the beach we crossed a small stream of water; some jumped across but some took advantage of this and removed our socks and boots and walked the rest of the way bare foot and paddling in the surprisingly warm sea. 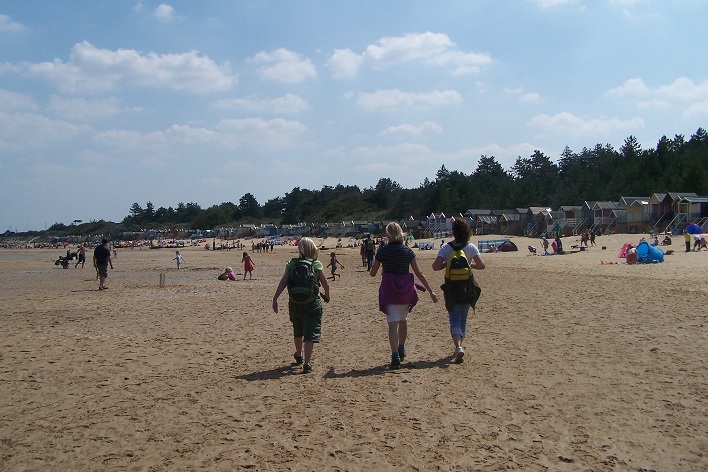 This time we made no other stops until we reached the Wells beach huts and lighthouse. 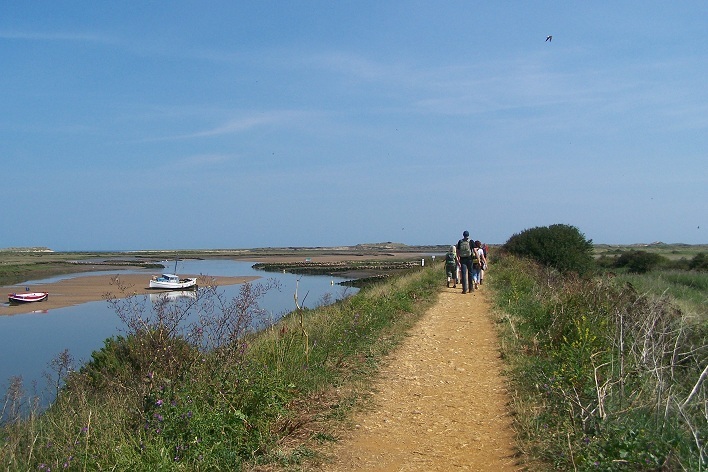 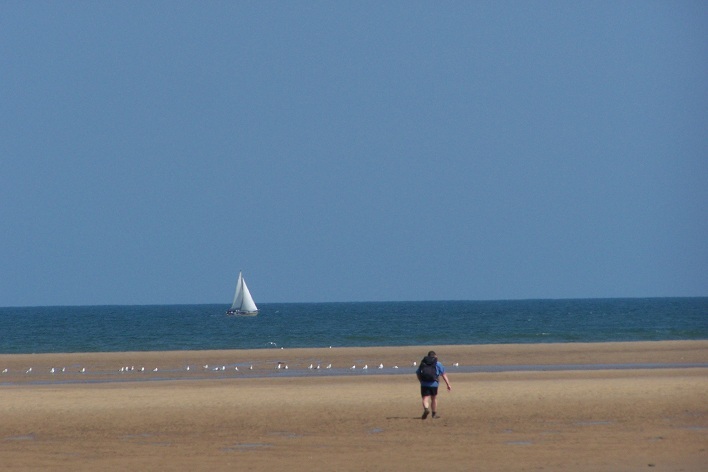 Once off the beach we had our lunch stop before completing the last mile and a half to Wells Harbour. 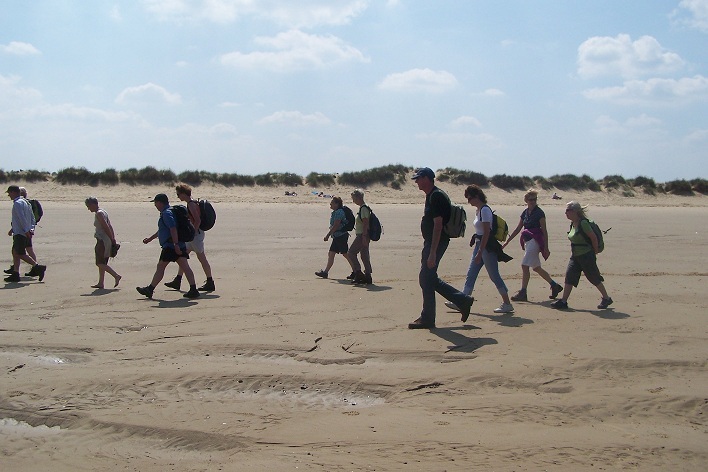 A great 7 mile coastal walk using the coastal bus service. 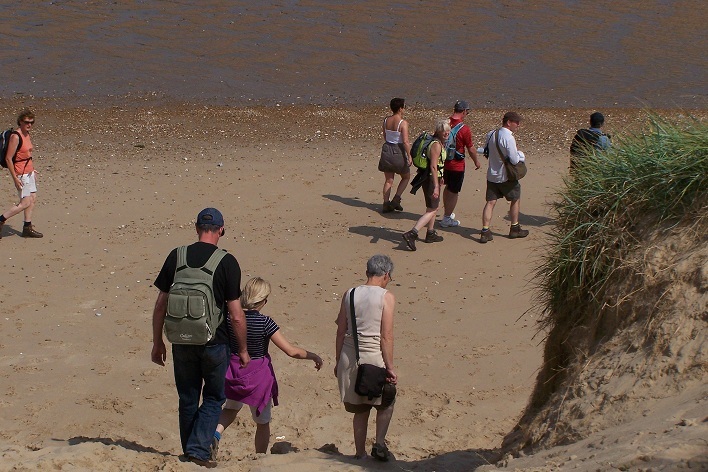 This entry was posted in Uncategorized on 31/07/2011 by fenlandramblers.